Why Are Charges So High? Hospital “charges” are a price point listed on paper but actually are used very little in the real world. They are the result of a broken and complex system in which hospitals are paid for their services. The vast majority of hospital “customers” – HMOs, insurance companies, Medicare, Medicaid and the state’s charity care program – pay hospitals at rates much lower than hospitals’ posted charges. In fact, about 66 percent of hospital inpatient claims in New Jersey in 2016 were covered by Medicare, Medicaid and charity care – all of which reimburse hospitals less than it costs to deliver the care. As a result, these listed “charges” are higher than hospitals’ costs as hospitals try to offset the losses that grow when they are underpaid by so many other programs. 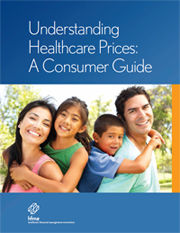 Consumers should know that there are programs in place to protect those who can’t afford to pay hospital charges. A 2009 state law caps hospital charges for most uninsured patients; the limit is 15 percent above what Medicare would pay for the same service. These protections apply to individuals earning up to 500 percent of the federal poverty level – or up to $121,250 annually for a family of four. In the end, less than 5 percent of N.J. hospital consumers may potentially be billed at charges. These are the individuals who earn too much to qualify for a government-subsidized insurance program and who opt not to purchase insurance on their own. No one actually “designed” this system of charges. This system evolved over time as hospitals attempted to recover some revenue when key customers failed to pay their fair share.